It now accounts for 8.1% of sales globally. Sales in Europe are also rising. French defense companies saw sales grow 13% compared to 2014, thanks to big deals with Egypt and Qatar, while companies in Germany boosted sales by 7.4%. Fleurant said sales in Europe are likely to rise further in the next few years, because of rising tensions with Russia. "At the moment, this shows mainly in higher proposed defense budgets, but it will start impacting sales in the future," she said. Even British companies saw modest increase of 2.8% in 2015 after a drop in 2014. 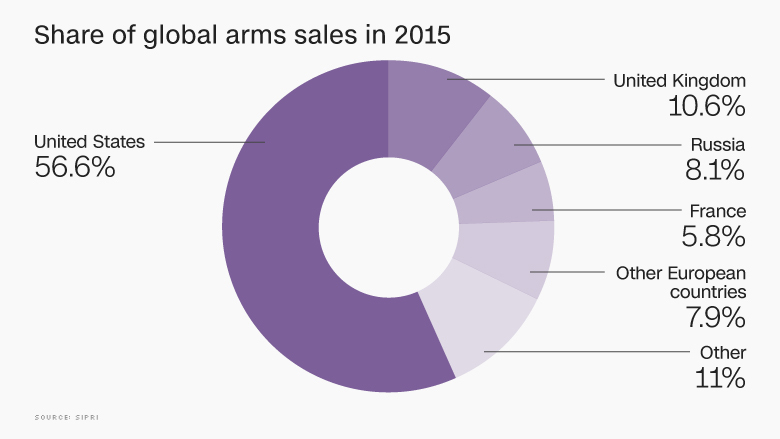 The world's 100 biggest arm producers and military service companies sold $370.7 billion worth of arms in 2015, roughly the same as last year, according to new data from the Stockholm International Peace Research Institute. 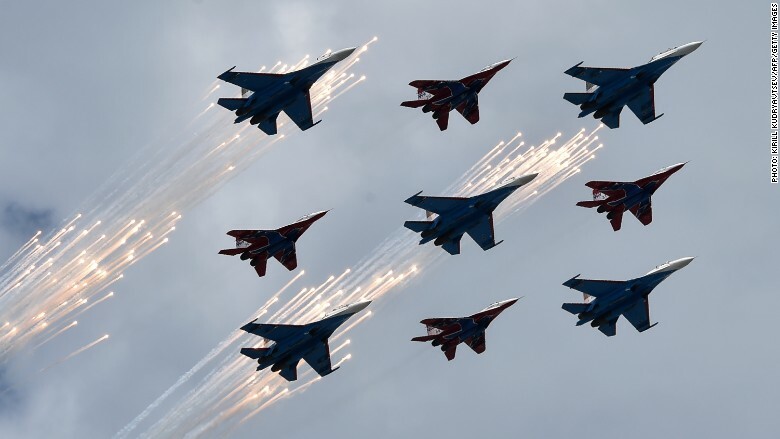 Other countries are also starting to make their mark in the global arms market. South Korean defense companies saw sales jump almost 32% in 2015, thanks to strong orders from the country's national military. "The growth is the result of 50 years of effort to build South Korean defense industry in order to rely less on foreign companies," Fleurant said. Arms sales in Turkey and India jumped around 10% in 2015, thanks to strong domestic demand from the national defense authorities. Both countries have high perception of threat, Turkey because its proximity to Syria, and India because of its conflict with Pakistan. The institute said it did not include Chinese data in the study, because of the lack of information China provides about its defense industry. China's military spending increased more than fivefold in real terms between 2000 and 2015, and the country has engaged in major efforts to develop its domestic industry. 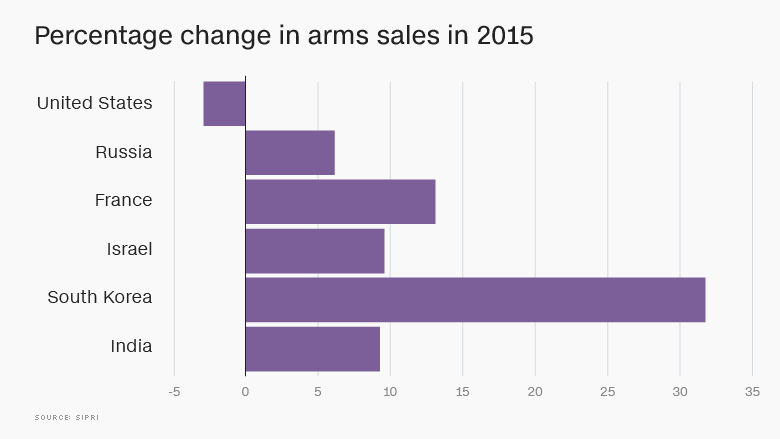 In addition, China's arms exports have grown substantially in the past decade.